Protexin are dedicated to producing innovative research based products of the highest quality for animals and humans. Our belief is that nature is an ideal source of effective healthcare solutions, and that applied research and understanding can harness these solutions to the benefit of both humans and animals. We also know that too much refining of natural elements can reduce their effectiveness. That’s why all products that carry the Protexin name are developed under our guiding philosophy – science and nature in balance. In practice this means that the natural healthcare and probiotic supplements we manufacture are extensively researched for safety and efficacy. We work closely with leading universities, hospitals and research centres around the world on a range of ongoing research programmes. We are always looking to improve our products, but never compromise on their natural basis. Manufacturing processes at our new, state of the art plant. 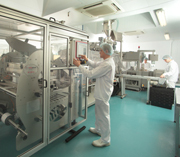 Protexin manufacture in our own purpose built, state-of-the-art facility in Somerset, UK. 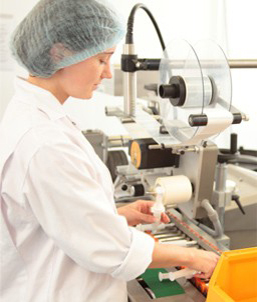 This allows us to be completely in control of our commitment to the highest quality standards. All products are subject to the same high standard of production and quality control as pharmaceutical products and we hold the following quality certifications; cGMP (MHRA), ISO9001:2015, BETA NOPS, each of which involves regular audits to ensure standards are maintained. You can be confident that whether you buy a Protexin product for yourself, your family or your animals, you are getting the highest quality, natural products supported by effective science.